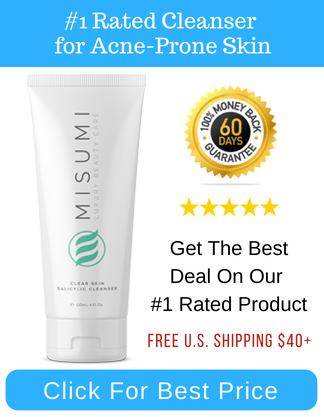 Anyone that suffers with acne understands that feeling of disappointment about a new product that you’re convinced will cure all your skin problems. You’ve seen advertisements and even celebrity endorsements. You even heard friends talk about the amazingly fast results and all your hopes are up. Two weeks later and you see absolutely no change and your acne outbreak is as bad as ever. Plus your out of pocket for a treatment that was expensive and didn’t help your problem. One of the big problems with a lot of the hyped up products is that the companies behind them spend more money on advertising than on making their products effective. But there is a way to still come up with a solution. 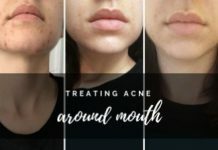 This might sound far-fetched, but reality is that for most people home remedies are actually going to be some of the easiest and most effective ways to deal with all types of acne. Natural ingredients are mostly used in over the counter products anyway, so why not figure out a combination that works for you? 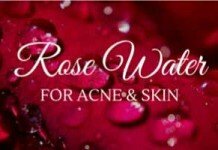 On this page you will find some of the oldest and proven options that will make a huge difference to your skin’s health. Alright, let’s face it. 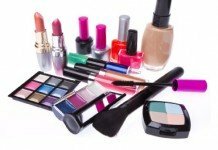 Although the idea of making use of home remedies for treating your acne is not, in any way, a conventional or abortive approach. It does work out for people most of the time. But the reality is that, unfortunately, they don’t work every time. And you must be completely aware of these exceptions to avoid pitfalls, and I’ll make you aware of these. 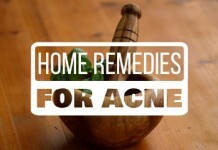 On average, home remedies seem to be quite effective for mild acne conditions. And because they’re natural, they take their time to do what they’re meant to do. 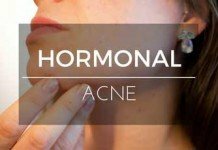 Therefore, for the most successful outcome, home remedies should be used for treating mild to moderate acne, and for a considerable period of time. Allowing them to take their time is important. You ignore this, and you’re likely to fail. 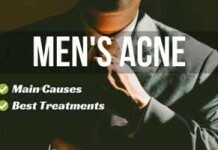 However, because they don’t cost you a fortune or put your skin at high risk like other medications, there isn’t any harm in trying home remedies, even if you’re suffering from severe acne. You never know what can work out for you. If they don’t respond well, move on to whatever else you want to try. 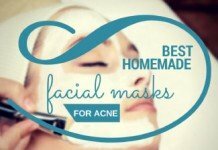 Now, bearing this in mind, let’s move on to discovering all the best home remedies for acne that are easy to follow and yet highly effective. Lemon is a citric fruit that is rich in vitamin C. Its low pH makes it a natural anti-bacterial agent. If you drink it, it’ll efficiently aid in the elimination of toxins from your body. And if you apply it topically, it will act as a gentle peel, eventually helping you in getting rid of blackheads, whiteheads, and other unsightly blemishes. Therefore, there are two ways to make use of lemon to treat your acne – you can either drink it, or apply directly on your skin. 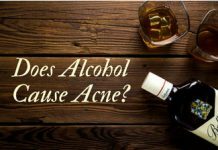 However, I suggest drinking it daily, regardless of your acne condition because all it can do is to just help your body and skin. 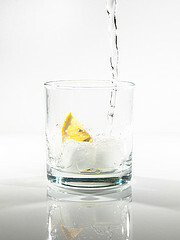 Using Lemon as a Drink: Squeeze a fresh half lemon into a glass and add lukewarm water in it. Drink it daily in the morning before having your breakfast. Applying it Topically: Squeeze a half sliced lemon into a small bowl. Add a bit of water to dilute it. Apply it to your affected areas with the help of cotton buds. Sea water is a proven source of natural relief to your skin but sometimes, it’s not possible for you to reach the shore and take a refreshing bath over there. If that’s your case, a handful of iodized sea salt can get the job done. Although, this may not turn out to be as effective as original water of the sea but still, this option is somewhat near to its effectiveness. You’d need one tablespoon of sea salt and mix it gently with half tablespoon of extra virgin oil. Once the paste has been formed, apply it to your affected areas and leave for about 15 minutes. Now rinse this paste off your skin by gently massaging it. The sea salt will gently exfoliate your skin and the oil will prevent excess dryness that the salt can possibly cause. Don’t get frustrated if the oil seems hard to take off. Just rinse your skin as you normally use to do and pat it dry with a clean washcloth. You’ll need to do this on a bi-weekly basis to yield the best results. But if it excessively dries out your skin, you can limit it to only once a week. Honey is nature’s best cure. It decreases redness and swelling, exfoliates your skin a bit (if raw honey is used), and because it’s an astringent, it can prevent bacterial growth on your skin. 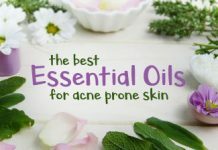 Therefore, we’re not going to neglect it when we’re considering home remedies for treating acne because it cannot do any harm to your skin unless you’re allergic to it. And in case of allergy, you’re not recommended to try out this remedy. Take two tablespoons of raw honey and mix one tablespoon of cinnamon into it. Apply it to your face and leave for about 10-15 minutes. Preferably, you should apply it after having a shower, steam, or rinsing your face with warm water because it will be more effective after your skin pores are opened. Afterward, rinse your face off with warm water and pat it dry with a clean washcloth. When shopping for honey, look for the darker ones. The darker the honey, the better its antibacterial and antioxidant power. 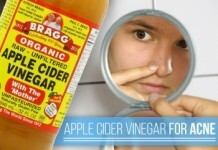 Ever wondered that what that ugly bottle of vinegar in your kitchen can do for your skin? Maybe not, but here’s why you should have. Just like honey, white vinegar is another strong antiseptic that can effectively contribute in the treatment of your acne and can even balance your skin pH level. Take some distilled white vinegar and dilute it if you feel it’s too strong. Apply it over the face or any other affected areas. Let it sit for about 5-10 minutes and then rinse it off with cool water. The raw definition of detoxification is the process or method used for the elimination of toxins from your body. A process that relieves your body by cleaning and healing it from inside out. It purifies your blood and helps the liver in digestion process. 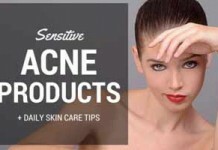 This is another effective home remedy for acne that doesn’t require you to spend a fortune. 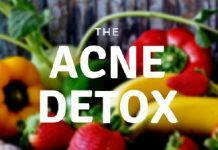 When your body is fed up with all sorts of unnecessary toxins, this puts a burden on your organs of elimination, which results in the expelling of toxins through your skin. And to get out of this situation, there’s no better way than detoxifying your body. The first step toward a detox plan is to eliminate the sources of toxins as much as you can. Alcohol, coffee, cigarettes, refined sugars, and saturated fats are some of the main sources of unnecessary toxins to your body. There are different ways to execute a detoxification process. First, I’ll outline the one you can do on your own. Drink lots of water throughout your day. As per stated on MayoClinic, The Institute of Medicine has declared that the best water consumption volume for men is 3 liters (about 14 glasses), and 2.2 liters for women (about 11 glasses). 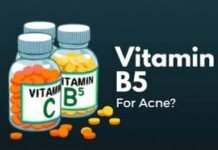 Increase the intake of vitamin C. Outlining the benefits of vitamin C is beyond the scope of this post, but what you want to remember is that it is essential for your body. The most adequate amount of vitamin C for one day is 500 mg. You can either take it through supplements or eat lots of vegetables and foods rich in Vitamin C.
Eat lots of fiber. Beans, nuts, whole grains, oatmeal, brown rice, berries, and crunchy veggies are all the best sources of fiber. Taking herbs like dandelion root, burdock, peppermint, and organic milk thistle are another excellent way to detoxify your body.. These herbs can be taken in the form of tea, capsules, or tinctures, and are easily available in the market. Secondly, if you’re serious about detox, I highly recommend Dr. Hyman’s Book, “10-Day Detox Diet” for more comprehensive, step by step plan. 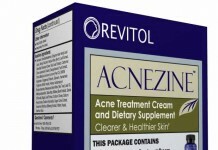 If your acne has caused scarring or has left dark spots on your face, there’s no better way to treat it than using zinc. It’s been proven to heal the tissues of your skin and, therefore, can effectively reduce scarring. It also aids in the reduction of inflammation and resisting infection on your skin. So increase the consumption of zinc in your diet to get positive results for your skin. Mushrooms, Spinach, Peas, Beans, Nuts, Chicken, Seafood, Beef, and Lamb. Being rich in Vitamin A, C, and K, tomatoes can effectively help in clearing away your acne right in the convenience of your home. It’s also an astringent, therefore, it can reduce excess oiliness of your skin. And it also tightens up your skin pores. 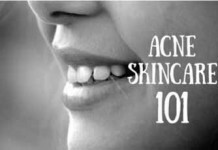 This home remedy for acne comes in two selectable ways of application. You can take a ripe tomato and cut it to make half and place the inner wet portion of the tomato on your affected areas and leave it for about 30-40 minutes or even an hour if you wish. The same procedure and time duration could be used by making a paste of the ripe tomato. If it dries out your skin too much, apply aloe vera gel to control it. I assume that you already know how drastic it is to pick or squeeze your pimples, but there’s nothing wrong in mentioning it once again, because it worth being bored in your mind. The more you pick your pimples, the worse your acne becomes. Nothing less or nothing more, that’s exactly what happens. If you’re addicted to touching or picking your pimples, then this is the time to put an end to it.. Secondly, use aloe vera gel over their affected areas to provide natural relief to the skin. Didn’t you notice that most of your favorite cosmetics prominently use aloe Vera as a basic ingredient? 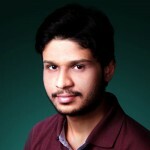 They do it because of its highly popular skin friendly nature. Another highly recommended home remedy for acne is to use green tea frequently. There are a number of firm reasons why you should take it under your consideration. Green tea acts as an antibacterial agent in the body, improves immune system, and increases fat burning. With that being said, green tea can also efficiently control the abnormal hormonal activity inside your body, which is the biggest cause behind the formation of acne. Futher more, the antioxidants in the green tea fight against free radicals that cause tissue and cell damage, which eventually can aid in the prevention of acne. So make a habit of drinking 2-3 cups of green tea daily without hesitation. I always prefer and recommend Bigelow’s classic Green Tea. It’s simply the best choice for the price. For centuries, garlic has been prominently used for the purpose of treating different kinds of diseases by different civilizations. Being an herb that is antifungal, antiseptic, antiviral, and an antioxidant agent, garlic doesn’t only heal chronic diseases like cancer, but because of the presence of sulfur in it, makes it an effective treatment for fading acne. In the morning, take two cloves of raw garlic with lukewarm water daily. It will cleanse your body from inside out by purifying your blood. Otherwise, you can directly apply it to your pimples. Simply slice garlic into pieces. Gently rub the inner portion of it on your pimples. Wash your face with lukewarm water afterward. Garlic should only be applied directly to your skin when you don’t have sensitivity to it. What if I tell you that this is the remedy that Emma Stone uses for her clear skin? Stunt? Well, so it happened to me, but this is true. Because this is another effective home remedy for acne that doesn’t only gently exfoliates your skin, it eliminates sunburn pains, and excess oiliness on your skin. Take one tablespoon of baking soda and add some water or lemon juice to make it a thick paste. Apply it to your affected areas and leave for about 15-20 minutes. Do not prolog this as it can dry out your skin. Once you’ve done that, rinse your face with lukewarm water and apply a moisturizer for acne afterward. Repeat this remedy twice or thrice a week, or if it doesn’t cause excess dryness, you can even use it daily to see instant results. 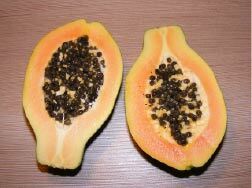 Papaya is a fruit that is rich in vitamin A, B, C (75%), K and dietary fiber. Not only that, but its anti-viral, anti-fungal, and anti-bacterial properties make it an efficient source of nutrient rich food. Its exfoliating enzymes in particular helps in opening up your clogged skin pores – therefore, it ensures the elimination of whiteheads and blackheads efficiently. Preferably, you should often eat papaya to let it aid your skin. For the topical usage, follow these simple steps. Crush one papaya into pieces. Squeeze the pieces to extract its juice. Apply this juice on your face or any other affected areas. Leave for about 10-20 minutes before rinsing off with water. 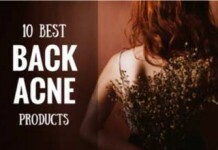 Our list for only the best home remedies for acne is going to grow on a regular basis. Whenever I come across a worthful remedy, I’ll endeavor to add it here with full details and instructions. 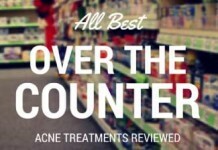 That ends our quest for the best home remedies for acne that are simple and actually work. These were 12 highly effective remedies that hardly required you to spend a dime for making use of them. With that number of options, you may end up getting confused of which one to try out. If that’s your case, then let me assist. First and foremost, you should seriously consider maintaining proper inner balance of your body. 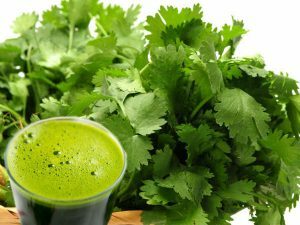 This will include (just to mention a few) eating vegetables and foods that are rich in nutrients (I’ve mentioned various in this post), drinking lots of water (10-12 glasses a day) to help transportation of nutrients throughout your body, and cut down eating foods containing refined carbohydrates. 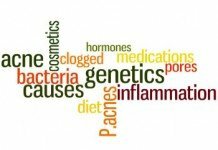 It’s high glycemic index foods that are linked to acne. Highly refined carbs have a high glycemic index. Cut down on high glycemic foods and your acne should improve. – Says Dr. Cynthia Bailey, Dermatologist Sebastopol, California Member, AAD and ABD. And when it comes to trying home remedies that require you to make use of different things, I’ll suggest you to choose one and stick to it for a couple of weeks. If it doesn’t respond well, move on to the other one, and so on.